The sun barely crests the summit of a nearby mountain as I gently flick a line toward the shadow of a darting rainbow trout. I stand silently, shivering on the snowy bank of a river near Estes Park, Colo., testing one of the biggest trends in trout fishing. Called a Tenkara, the rod I use conspicuously lacks a reel. The line is tied directly to the tip, bringing to mind an image of barefoot children in straw hats holding a cane pole over the bank of a creek. 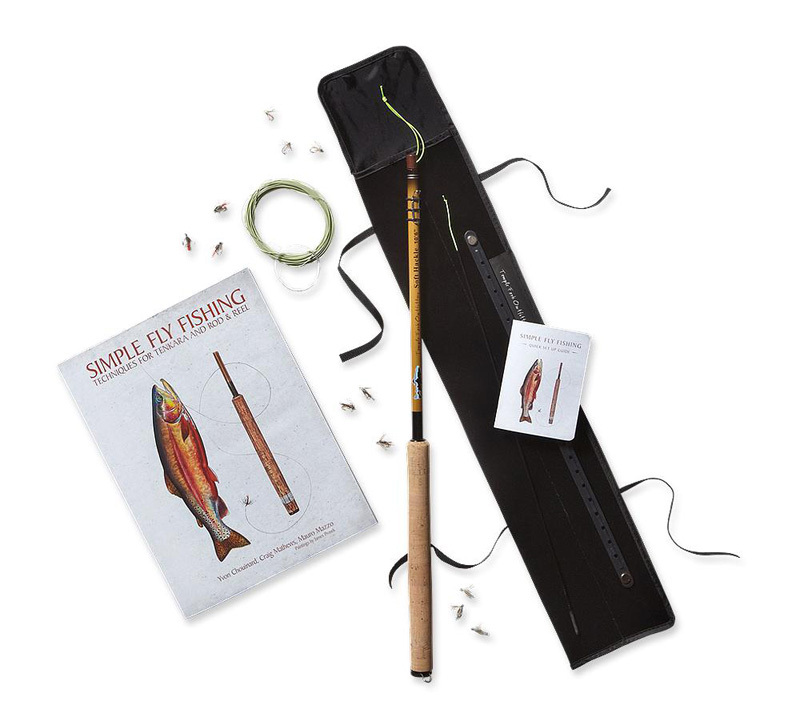 Yet this pole, a 10’6” soft hackle made by Temple Fork Outfitters for outdoor giant Patagonia’s Simple Fly Fishing Kit, is very far from a low-tech bamboo stick. Tug! I don’t see a flash in the fast moving water or even a ripple on the surface, but with a pronounced jolt the rod comes to life. With a ridiculously supple tip, the Tenkara easily absorbs the shock of the struggling 10-inch rainbow trout that had taken my nymph. With no reel, my only tool in the fight is the rod, which, pointed skyward, quickly tires the fish. I raise the rod high over my head, bringing the 15 or so feet of line past me and the fish close enough to control for a gentle release. 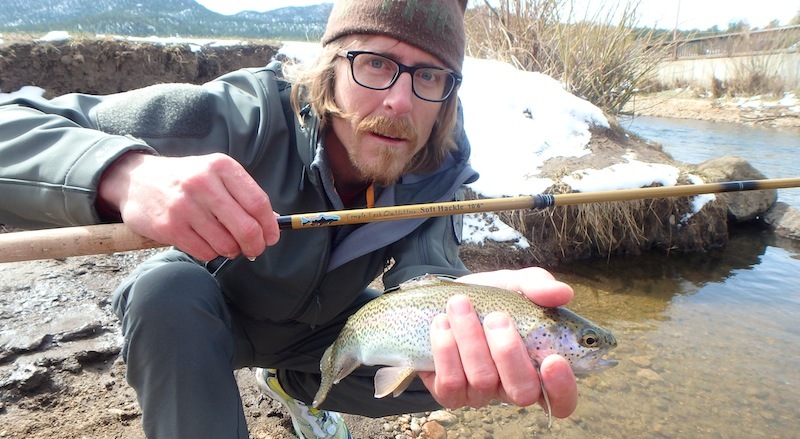 Fly fishing with a Tenkara rod seems to be a growing trend in the Untied States, with several brands offering rods, line and flies designed for this minimalistic style of fishing that was almost unheard of outside of Japan until just a few years ago. Testing this setup was my first experience with Tenkara, but I immediately understood the appeal. The equipment is extremely light, with the entire rod and line weighing less than three ounces. The rod telescopes into itself for easy transport, with the entire 10’6” rig fitting easily into a 20-inch-long sleeve. Flies add basically no weight, so for backpacking, this may be the ultimate ultra-light fishing kit. 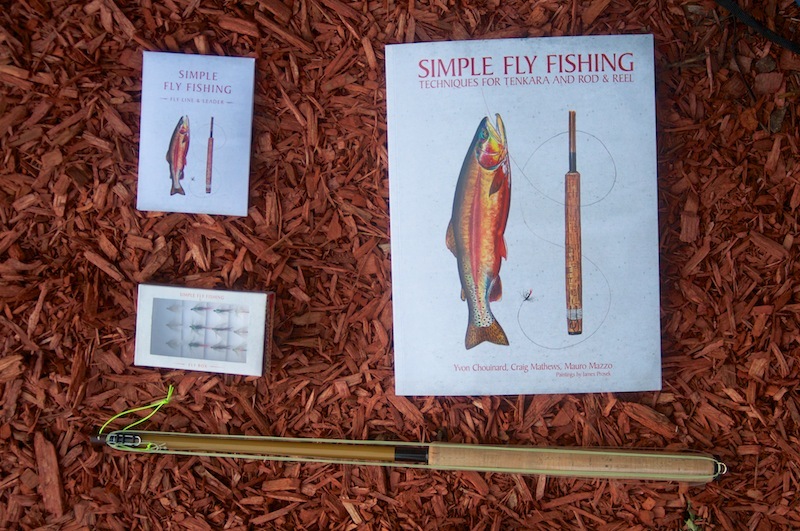 With the Patagonia setup, “simple” does not equal “inexpensive” and the entire kit — a 10’ 6” Tenkara rod; the book Simple Fly Fishing: Techniques for Tenkara and Rod & Reel; a box of one dozen soft hackle flies; a level floating Tenkara line; a 7.5’ 3x tapered leader; and a quick set up guide — will set you back a hefty $280. The rod from Temple Fork Outfitters is a quality pole with slowish action (it retails for $225 alone without the Patagonia name). It allows for a very gentle presentation, accuracy and control of the fly. Rods come with a spare tip and second section (and a lifetime warranty) as the super-light tip sections of Tenkaras are prone to breakage. A rod sock features a unique built-in line holder to help organize your line when not in use. While Patagonia hopes the simplicity will lure new anglers to the sport of fly fishing, the entry cost is pretty high for a beginner. While many Tenkara poles break the $200 mark, some such as the Yamame from Tenkara USA ($139) are easier on the wallet for those uncertain how much they want to invest into a new technique. I did have success with the flies that shipped with the kit, but they are by no means sufficient. 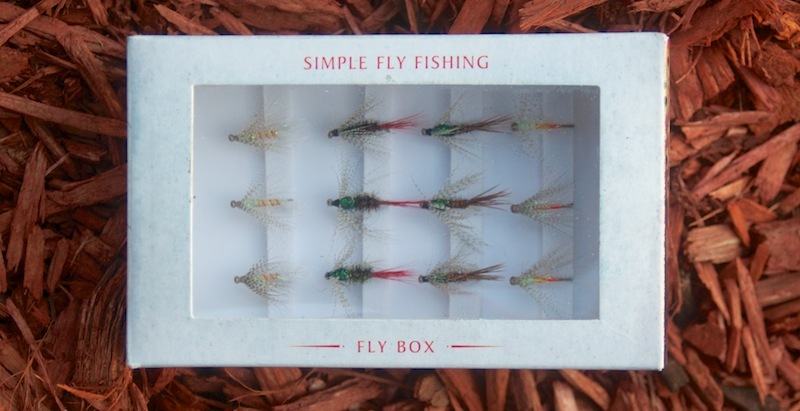 I suspect that most anglers worth their salt would immediately add several nymphs and dry flies suited to their local waters to the collection. I got good action on both tiny nymphs and dry flies not included in the kit on my day near Estes Park. Another day the included Pheasant Tail was hot on another stream. Finally, the book that ships with the kit, “Simple Fly Fishing: Techniques for Tenkara and Rod & Reel,” is a good primer to fly fishing for those with very limited background. According to Patagonia, the book by Yvon Chouinard, Craig Mathews and Mauro Mazzo, “clears the fog of complexity that often surrounds the sport and delivers simple explanation and easy-to-understand instruction.” It was written for those with little experience just getting into the sport, so seasoned anglers will likely give it a quick scan for new ideas and move on. For those new to the sport, it provides a solid grounding in fly fishing technique, rod setup, knots and strategy. It’s hard to judge an entire style of fishing, much less a technique and equipment that could take years to master, in a couple short outings. But as I watched a trout slurp my fly off the surface after a perfectly executed cast, I smiled knowing that I will likely spend many delightful crisp mornings and balmy summer afternoons on the bank of a mountain stream, Tenkara in hand, trying to improve my skills.